Gov. 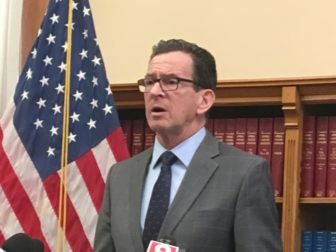 Dannel P. Malloy has been warning legislators since early February that their preliminary budget for the upcoming fiscal year is significantly in deficit. The response he got last week from two budget-writing legislative committees was bipartisan — but less than helpful. The Appropriations Committee failed to meet its deadline to recommend spending adjustments. The Finance, Revenue and Bonding Committee offered a host of ideas that collectively would deepen the hole in the next budget — already at $265 million — by at least another $130 million. Malloy also has been waiting since early December for legislators to close a deficit hovering near $200 million in the current fiscal year, which ends June 30. The administration did not weigh in last week on lawmakers’ reluctance to propose deficit solutions. But Malloy offered an assessment two weeks ago about why legislators — who proudly touted the bipartisan budget they adopted last October — are finding fiscal solutions harder to come by as this year’s state election season draws closer. Despite deficit projections totaling $460 million across this fiscal year and next combined, the finance committee adopted numerous proposals to lower taxes, cancel previously approved tax and fee hikes, and reverse an increase in teachers’ contributions toward their pensions — less than four months after the increase took effect. There were proposals to provide tax relief for businesses and for consumers attending entertainment venues or getting their cars washed. The panel also pushed back by one year a $30 million payment the Mashantucket Pequot and Mohegan tribes must make to the state as part of a deal to open a new casino in north central Connecticut. Many of these changes passed with bipartisan support. The pension contribution reduction, from 7 to 6 percent of payroll starting July 1, would save teachers $40 million next fiscal year. It passed by a 50-1 vote in the finance committee, with the only dissenting vote coming from Sen. Art Linares, R-Westbrook — who is not seeking re-election. Leaders of the finance committee defended the proposals, while acknowledging the state might not be able to afford them right now. Similarly, Sen. L. Scott Frantz of Greenwich, the Senate GOP chair of finance, said most people understand the committee is just one component of a larger budget process. And he also said it’s important that the panel make recommendations about what’s best for Connecticut. Frantz added that, “We don’t feel like we did as much as we could have” as a committee. 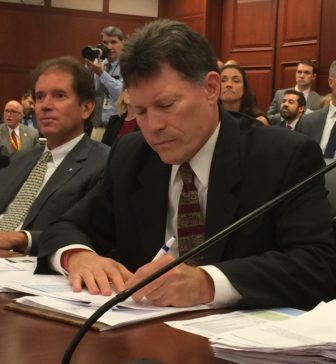 Sen. John Fonfara of Hartford, the Senate Democratic chair, said he doesn’t believe the finance committee’s role simply is to propose sufficient revenue to cover whatever the Appropriations Committee wants to spend. 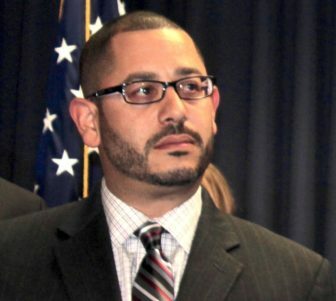 “We still have another month to potentially address some of those revenue problems that we do have,” added Rep. Jason Rojas, D-East Hartford, the committee’s House chairman. Fiscal analysts for the governor and for the legislature must develop new revenue estimates by April 30 that reflect new data from the mid-April state income tax filing deadline. Legislators are hopeful that revenue projections for this fiscal year and next will improve with that report. When it came to the Appropriations Committee failure to issue any spending recommendations before its deadline, Democratic and Republican leaders from the House and Senate issued a joint statement attributing it — at least in part — to “multiple weather-related closings” that interfered with meetings. But sources said Democrats and Republicans could not agree on how to find the resources to mitigate or eliminate previously approved reductions to social services in the 2018-19 budget. Kelly Donnelly, spokeswoman for the governor, called it “disappointing” immediately after the Appropriations Committee announced it wouldn’t meet its deadline. Leaders of the committee said they would try to develop a spending plan, albeit a late one, by April 20. Ultimately, top legislative leaders could craft revisions to the preliminary budget for 2018-19 before the regular session ends on May 9. But they also could adjourn without making adjustments, asserting that the preliminary budget was balanced — at least on paper — when it first was adopted last October. Although this approach would be unusual, it would not be without precedent. The 2008 legislature adjourned without adjusting a preliminary budget for 2008-09, despite projections it was almost $120 million in deficit. 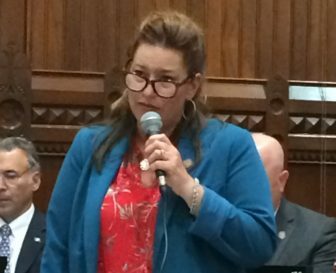 Rep. Melissa Ziobron of East Haddam, ranking GOP representative on the Appropriations Committee and an ardent supporter last October of asking teachers to contribute more toward pensions, expressed her disappointment Friday with the finance committee’s actions one day earlier. Ziobron added that she believes many legislators, Republicans and Democrats, still believe asking teachers to contribute more toward pensions is the right move given the fiscal challenges facing Connecticut. Despite the mixed messages coming from the budget panels, at least one constituency was listening closely. Donald Williams Jr., executive director of the Connecticut Education Association. 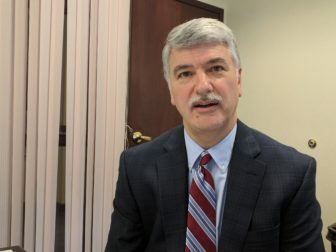 The executive director of the Connecticut Education Association, Donald E. Williams, said the state’s largest teachers’ union nonetheless believes legislators should make repeal of the teacher pension contribution increase one of their top priorities.